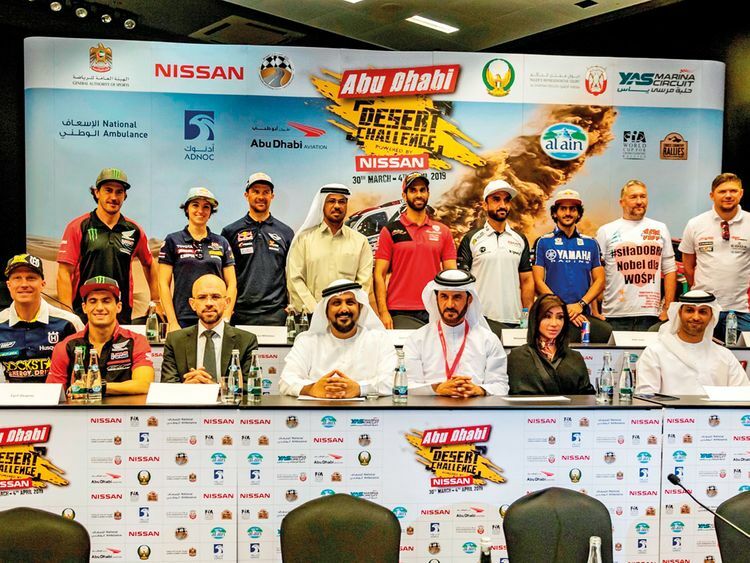 Abu Dhabi: The eyes of the cross country rallying fraternity will be on the UAE capital when the Abu Dhabi Desert Challenge, powered by Nissan, kickstart on Saturday. Organised by the Automobile and Touring Club of the UAE (ATCUAE), the national motorsport authority, the event forms the second round of the 2019 FIA World Cup for Cross Country Rallies for cars and buggies and the opening round of this year’s FIM Cross Country Rallies World Championship for bikes and quads. Al Tareq Al Ameri, CEO of Yas Marina Circuit, said: “Once again we are honoured to be playing a growing role in helping the ATCUAE ensure the rally continues to showcase Abu Dhabi as a world-class sporting destination. Heading the seedings list are the top two from this year’s World Cup standings following the first round in Qatar, Saudi Arabia’s Yazeed Alrajhi in a Toyota Hillux Overdrive and Russia’s two-time Desert Challenge winner Vladimir Vasilyev in a BMW X3. Biding for his second Desert Challenge triumph is the UAE’s Khalid Al Qasimi in the Abu Dhabi Racing Peugeot 3008 DKR, while Frenchman Cyril Despres, a five-times Desert Challenge bikes winner, drives another X-raid Mini John Cooper Works buggy. The host country’s five-car challenge also sees Yahya Al Helei starting his 29th consecutive Desert Challenge in a Nissan Pick Up.